▶ SoldThis listing was sold on Dec 21, 2017 for the price shown here. Welcome home to Florval! 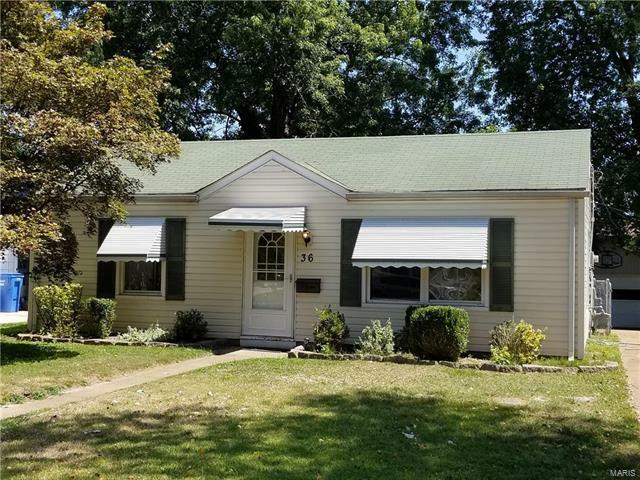 Freshly painted with new ceiling fans, newer a/c and all new wood grain flooring, this charming three-bedroom, one bath home is ready for move-in. On a quiet street close to Saint Ferdinand Park and Old Town, you'll enjoy relaxing on the patio in the big backyard. A detached garage sits at the end of the long driveway. Close to shopping and restaurants. $40 application fee per adult (18+). Good credit & rental history with no previous evictions is REQUIRED. Household monthly income of at least 3 times the monthly lease rate is required. Security deposit is equal to 1 month of lease rate. Pets negotiable for $300 non-refundable fee per pet. Minimum 1 year lease. Water, Sewer, Trash, Gas, Electric, & lawn care are the responsibility of the tenant. No Smoking. N. Lindbergh to North on Florval.